The single-family house is designed to follow the site’s natural slope and retain the pine grove that is currently on site. The plot is a natural shelf in the Nordstrand slope. Building volume is uniform and relates to the line of sight in the slope’s natural inclination. 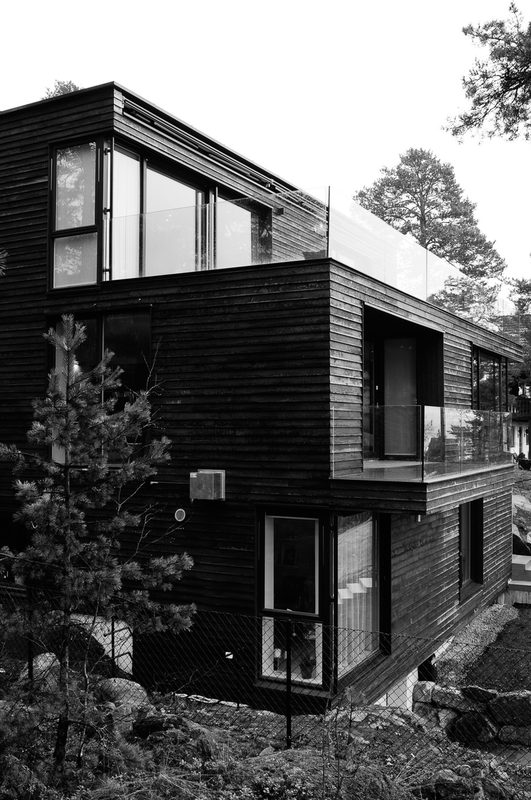 The main goal is for the house to be embedded in the terrain, and not to jut over the Nordstrand slope, while at the same time maintaining the outdoor areas with their original distinctive qualities.